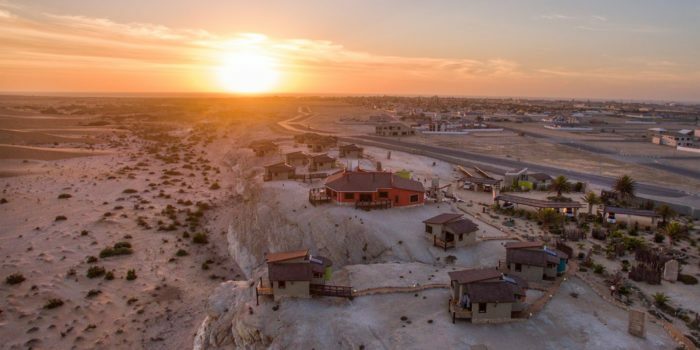 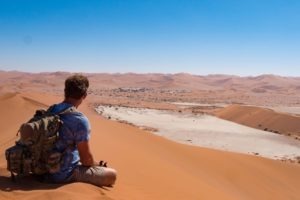 "A special camp in the midst of dusty and stunning landscapes"
A sanctuary surrounded by massive ochre boulders providing luxury as nature intended. 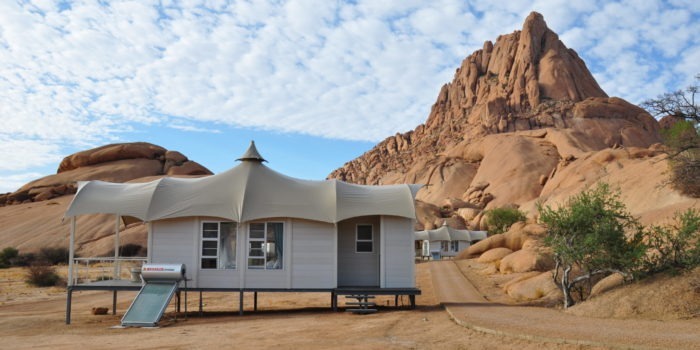 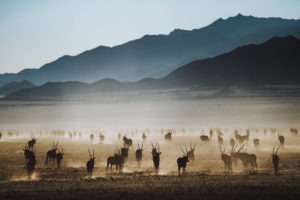 Between the Ugab and Huab Rivers in southern Damaraland and in the midst of dusty and stunning landscapes lies a sanctuary called Mowani Mountain Camp. 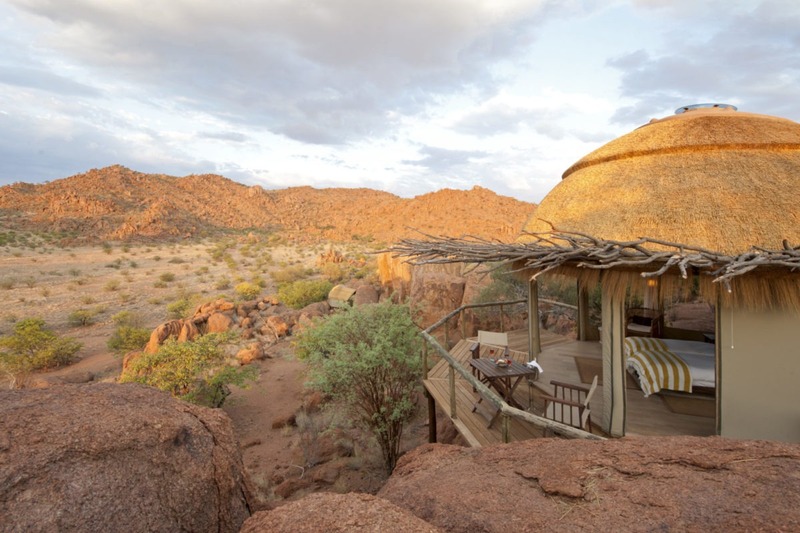 Surrounded by massive ochre boulders and fascinating geological formations, the camp perfectly blends in with its wild surroundings. 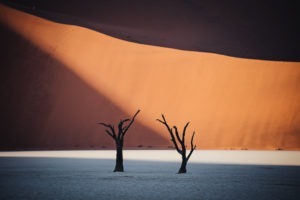 Every soft curve or ragged edge frames the landscape in a different way, as if you are seeing for the first time, every time. 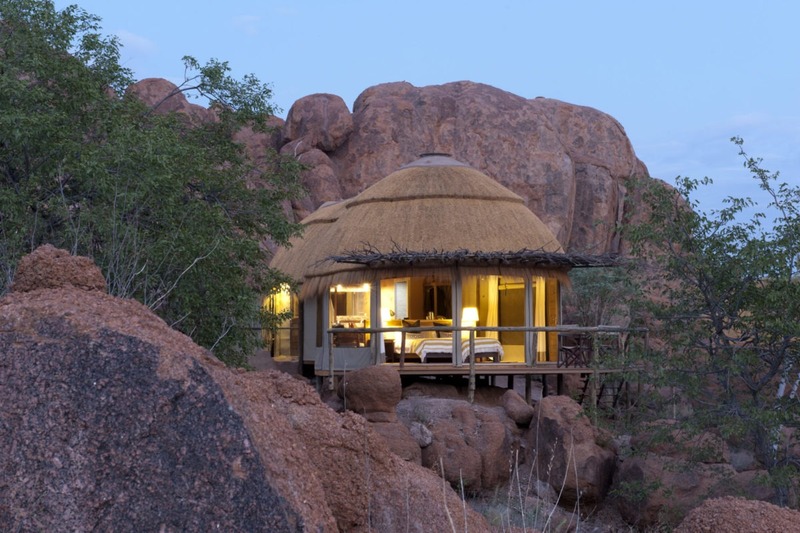 The camps fifteen rooms are secluded amongst the boulders. 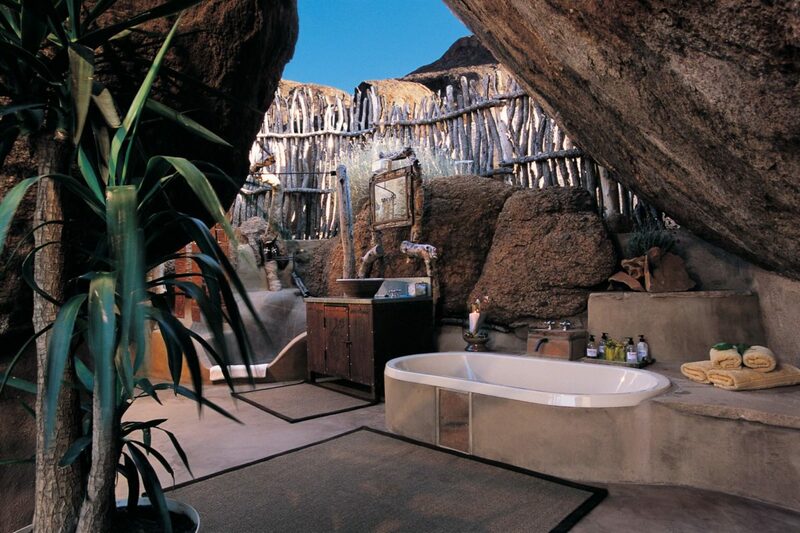 Their design paying tribute to the natural surroundings and a sense of elegance and earthiness prevails. 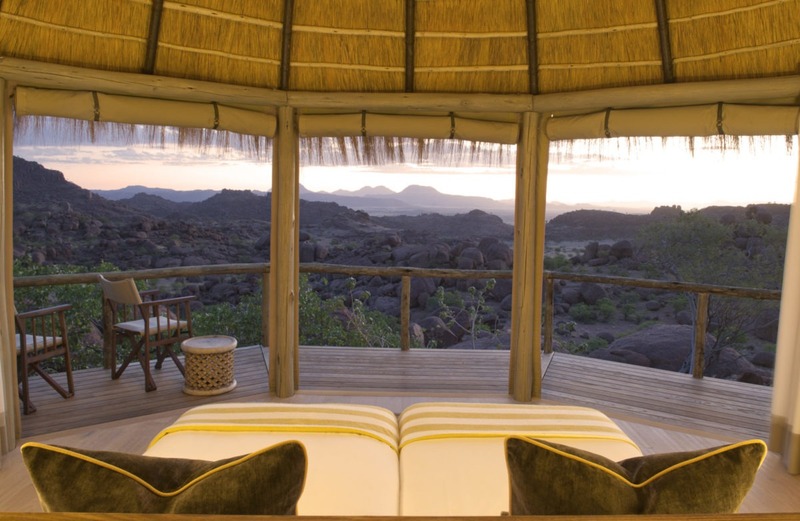 Mowani offers six superior view rooms around the perimeter of the site with breathtaking views over the vast landscape. 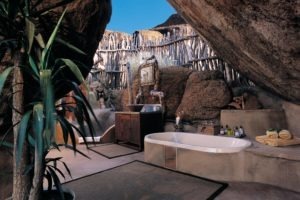 The superior rooms are built into the rocks providing a very special setting. 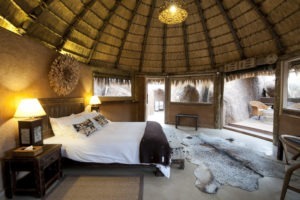 All rooms have a private veranda, an en-suite bathroom and provide a tea-and-coffee station and mosquito nets. 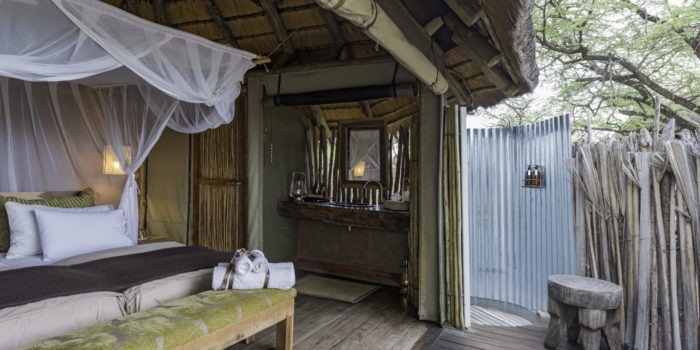 The camp also has two luxury suites with open-air bathrooms, a spacious lounge and a private deck for peaceful seclusion. The whole camp is decorated in an organic design combining elegance, earthiness and tranquility. No wonder it has been rewarded with an architectural eco-design award in Germany. 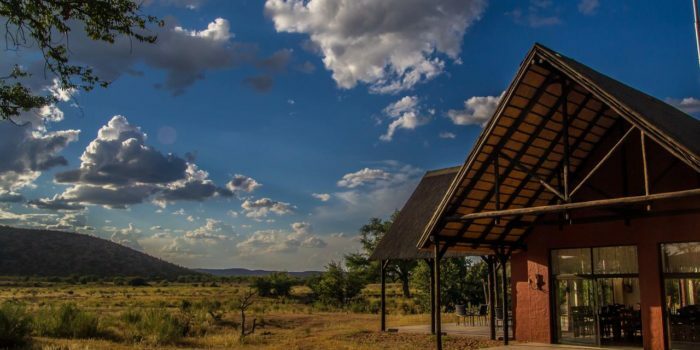 The communal area offers a spacious dining area covered by a thatched roof, a pool between the boulders and a breathtaking sundowner spot high on the rocks, which is perfect for watching the sun setting behind the mountains. 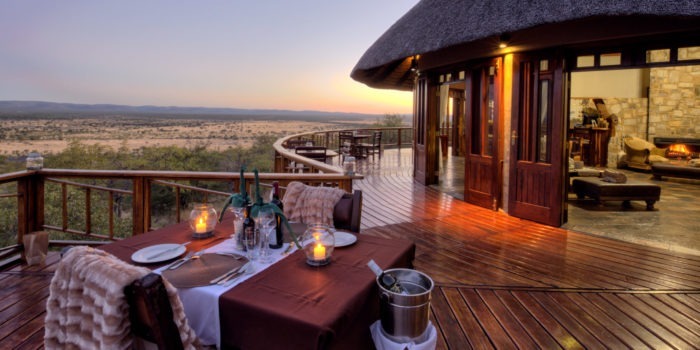 Guest can take nature drives into the dry river beds and the local guides will share their extensive knowledge of the land, their personal traditions and experiences. 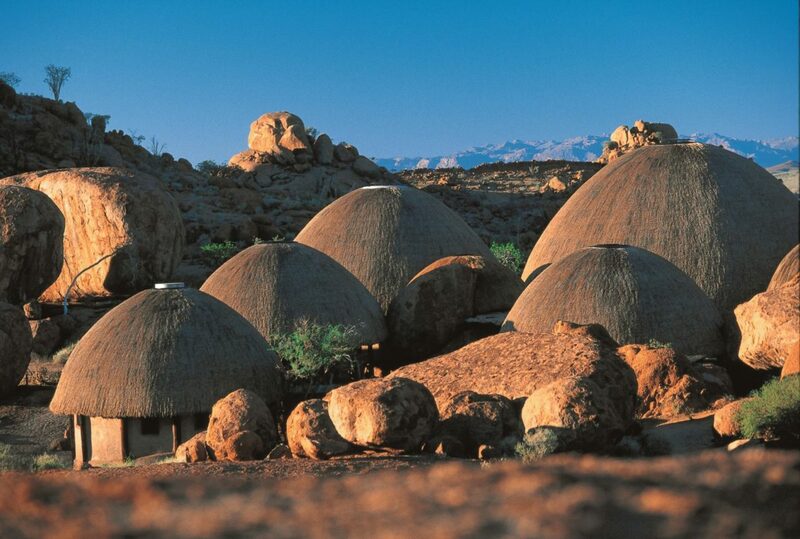 A visit to the rock art gallery at Twyfelfontein and the Organ Pipes rock formation is perfect to explore the history of this ancient place. 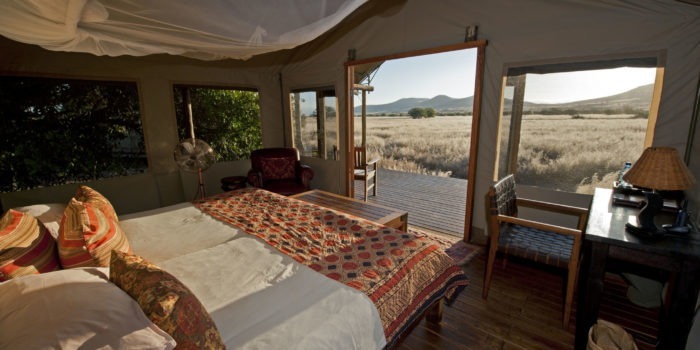 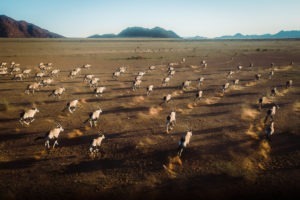 Game drives provide guests with the opportunity see desert adapted animals like springbok, gemsbok, and jackal. 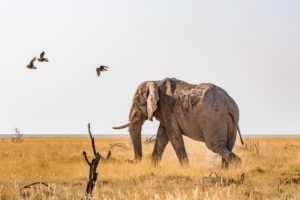 If you are lucky you might even get up close to the desert-adapted elephants that roam the area. 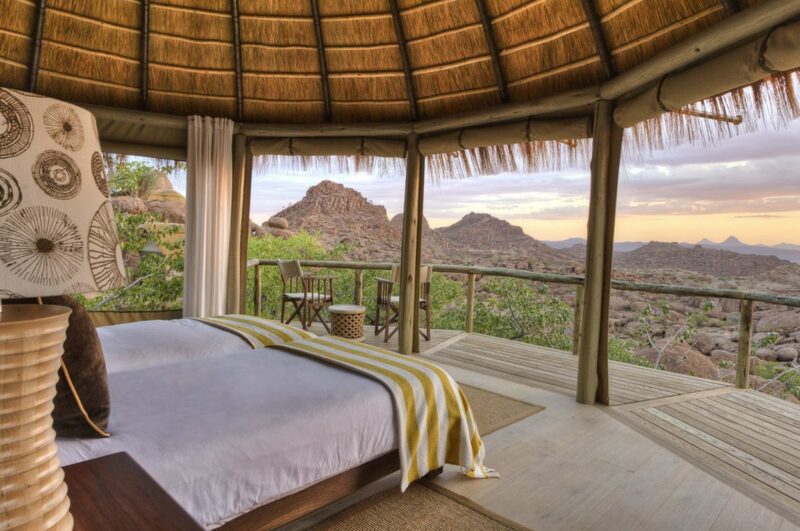 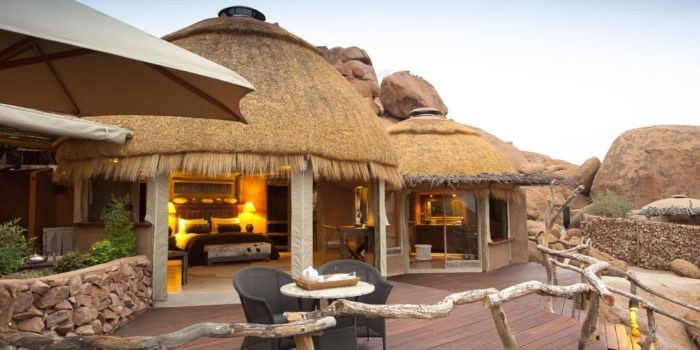 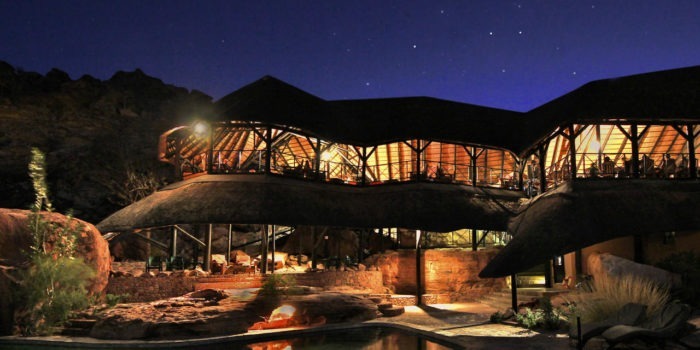 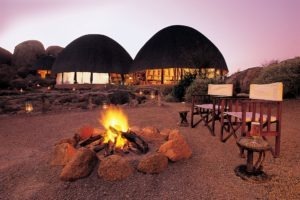 Eco-friendly luxury lodge in an awesome location in southern Damaraland! 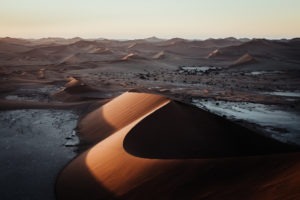 Breathtaking views over ancient landscapes. 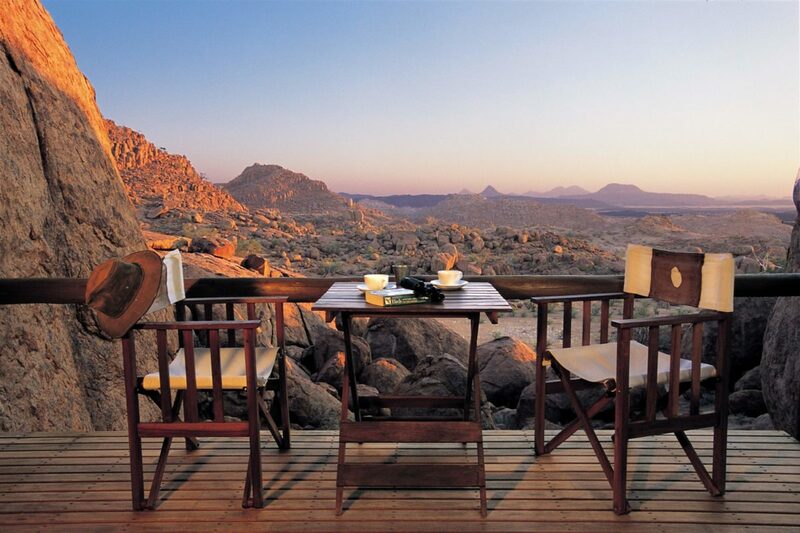 Stunning sundowner spot on top of the rocks. 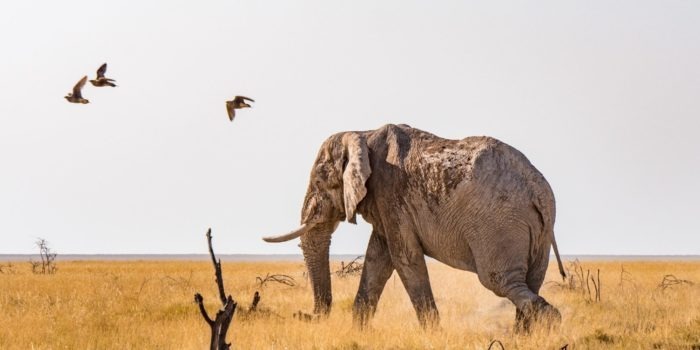 Varied activities include tracking of desert-adapted elephants that roam the area. 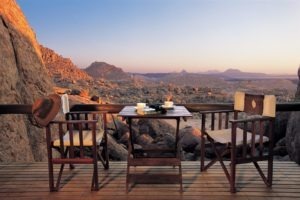 A very special experience indeed!